Dropbox will make secure backup, sync and sharing a lot easier than ever before. 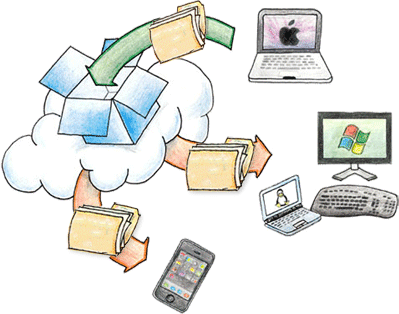 You just have to simply put your files into your Dropbox folder and you will be able to get to them from anywhere. You can easily share entire folders or photo albums with Dropbox. Simply put the folders you want to share in your Dropbox, and invite people to them. You can also send people links to specific files within your Dropbox. This makes Dropbox perfect for team projects.